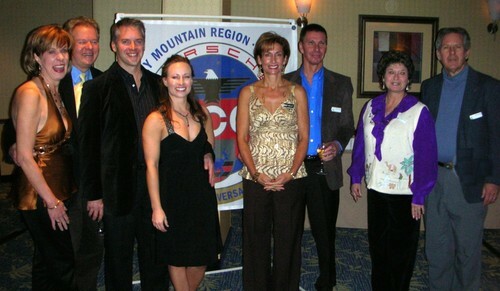 The entire Hospitality Center committee staff is looking forward to meeting you when you come to Colorado this summer. Please look us up when you are here. In the Hospitality Center sit with your friends and discuss all of the day’s exciting events. Use the Center as a “meeting point” before exploring the area. Come and visit Parade Sponsors who will have booths for you to view their new products and services. Start the day early with coffee, tea, and danishes/donunts. In the afternoon enjoy soft drinks, snacks and yes…..”traditional” popcorn. Internet Café to check e-mail and review the parade website for information. You will have your choice between PCs in the Café or a hot-spot for your own laptop. Come by from 2-5 PM and enjoy the award winning Michael Carducci, the roving magician. He will amaze you with his prestidigitation which has taken 15,000-plus hours to study and rehearse. He has worked all over the world and your kids will love him. Hospitality opens early for those of you who will be gathering for activities that start at 8AM. 2-5 PM Come by and see our talented caricature artist. Spend a few minutes and let her sketch the true you. 3-6 PM BEERFEST. When you register for Parade, sign up for this fun German style event. You will receive your very own limited edition Porsche beer stein, along with cold Colorado brewed beer and fresh hot pretzels. Our German band will make you feel like you are in Germany at the Oktoberfest. We look forward to seeing you at the Gastfreundschaftzentrum in Colorado this June! PLEASE NOTE – you MUST have your Parade Badge in order to gain entry to the Hospitality Center.